Watching the film isn’t exactly what I would call a pleasure trip – it was a sad sad journey. The acting was brilliant and the movie was unflinching, and this was my experience for the longest time of this story. I had read something about the book in passing, as a tangential reference made in an interview with Sheryl Crow, who I remember as having some kind of friendship and subsequent falling out with the writer (yes, I could google it if so inclined, but I’m not). Anyway, as will often happen, I was filling out a wishlist on Amazon, and I recalled the book, hunted it down, and decided to buy it. I am so glad that I did. 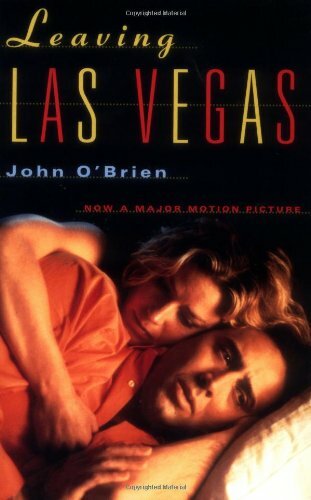 For me this book sits alongside One Flew Over The Cuckoo’s Nest as one of those books which reframes my understanding of a story, deepening it in many respects, and offering insight into the main characters which I would not have been able to garner from just watching the movie. Sera is a revelation – a more human character I don’t think I have encountered, and the grace and beauty with which her psychology is explored is a testament to O’Brien’s skill as a writer. The parts which deal with Ben do elucidate nicely upon the drunken man’s thinking and the unravelling of his life, but for me it really is Sera and her thoughts and movements which, though well-explored in the movie, were here elevated to poetry. This is one of those books which I consider to be art; something I wish I had written, and which should be added to everyone’s must read list as a masterclass in technique, characterisation, and ease of storytelling. You get to absorb for a time someone else’s humanity, and walk in their shoes, feel their pain, witness their descent, and feel the truth of their love. This does what all literature aspires to do.